Every year thousands visit the museum and experience the wonder of 15,000 years of cultural history thanks to contributions like yours. With your help the Museum is able to offer visitors an experience like no other. From hosting a traveling exhibit to maintaining priceless artifacts, your contribution makes a difference. Your support is invaluable to our continued growth and development. No gift is too small. If you are interested in giving to a specific cause, sponsoring an artifact, or learning more about how your donation will help further the mission of the Museum, call us toll free at 800-991-2338. Don’t forget, donations are tax deductible. Becoming a member has its perks. From free admission and guest passes, to store discounts there is something enticing for everyone. When you join the Museum at the Supporting level or higher you can enjoy member benefits at more than 650+ museums in North America. 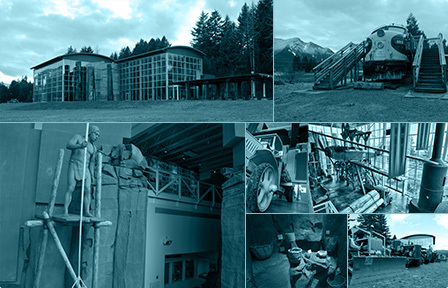 The following NW museums and many more around the US, Canada, and Mexico are proud NARM members. See the complete list at NARM’s website or as a PDF here! Are you interested in volunteering? We are always looking for volunteers to help make the Museum a special place to visit. If you are passionate about history or simply interested in how to get involved, we would love to hear from you. Give us a call at 509-427-8211 or email info@columbiagorge.org for more information on how you can help the Museum.